SPTC Product Gives You the Most Vibrant Color Experience! 1.Each toner cartridge was methodically tested to ensure full working condition and a superior print quality. 2.Professional color box packing and multilayer shockproof packing can avoid product damage during transportation and distribution. 3.Can be recognized by your printers and installed easily for our user. Toner:Refined toner ensure every professional print and prolongs printer service. Chip:Intelligence reorganization, accurate counting, high compatibility, stable performance. Plastic parts:High precision, qualified for ROHS environmental standards. 1.Please confirm your printer model before placing order. 2.The computer would appear Non-Genuine, please click "OK" continuously, then the printer can go on to print. 3.If you receive the toner cannot recognize your printer please turn off 30 second then turn on and install again ,also you can try take the toner out and use tissue with rubbing alcohol clean the chips softly. We appreciate all of your feedback and reviews. Our goal is to ensure that everyone has a great experience with this product. Therefore, if you experience ANY issues whatsoever, please send an email to us through clicking Contact Seller option under your order details. We will gladly assist you and address all your concerns. 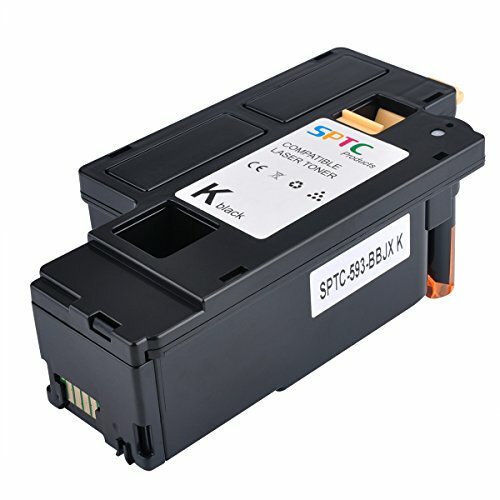 Printing performance is almost the same as genuine OEM toner cartridge at 20% of the price. If you have any questions about this product by SPTC, contact us by completing and submitting the form below. If you are looking for a specif part number, please include it with your message.